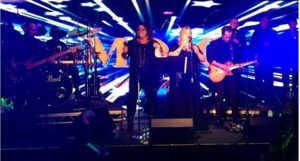 Played an awesome debut gig back in March, and a welcome return for Mojo, a NINE-piece high energy band playing Funk, Soul and Disco classic anthems to get everyone on their feet! Will be a busy dance floor. And a busy stage, come to that!